To enjoy the flavor of life, take big bites! With dear family and friends, and good food on the board, and good wine in the pitcher, we may well ask: When shall we live if not now? ‘An Apple a Day Keeps the Doctor Away’ and ‘Take your Vitamins’ are quotes that remind us of food’s goodness. Taken appropriately and adequately, food will keep our bodies strong. These are certainly wise wall words! Our designers at WiseDecor turn these words into beautiful pieces of art that grace many kitchen walls. The wall letters create focal points in the kitchen and match the color and design themes. They will be at home between your kitchen cabinets and sink or even on the wall below recessed lights which light up your kitchen. Friends and family will certainly benefit from the eye-catching advice on the wall. 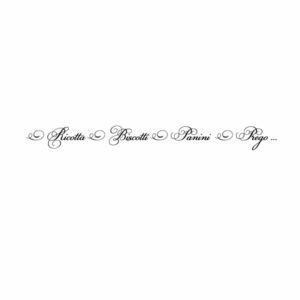 We have many more wall quotes available: choose ‘Bon Appetit’ wall letters in different languages; or favorite pasta and wine wall decals and playful ones such as ‘Nobody Knows The Truffles I’ve Seen’. Apart from using them in your own kitchen, our wall lettering also make excellent house warming gifts. Sign up for our customer rewards program and earn points for your purchase. Your friends too will get a 10% discount on their first order. Now that’s a treat! WiseDecor wall decals are affordable and are not affected by temperature changes. They are placed on one sheet making application an easy task. If you want stylish and unique kitchen wall decorating ideas that will also make you smile, then have a look at our kitchen category page and do get in touch!